As a child, I read about girls called Penelope in books, but didn’t know any Penelopes. I didn’t discuss what I was reading with anyone, so for a long time I thought the name “Penelope” only had three syllables. 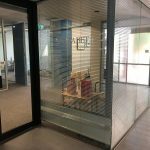 To read and spell words of more than one syllable, you need to know how they sound, as well as what they look like, and be able to think flexibly about where the syllable breaks are. The word “same” seems a lot like the word “sesame” till you hear it. We really should put training wheels on long words for beginners, to help them see the internal patterns – same, se‧sa‧me, cite, re‧ci‧pe, an‧te‧lope, Pen‧el‧o‧pe – and remind them that a syllable can be one letter/sound or quite a lot of them: a‧re‧a, i‧o‧ta, mi‧nu‧ti‧ae, squelch‧ing, texts, caught. Literate adults have internalised reading and spelling skills to the point where we mostly do it without conscious effort. Like most complex, learnt skills (think riding a bike or driving a car) it requires a lot of concentration and practice at first, but after a while becomes automatic, and quite hard to deconstruct and explain exactly what you’re doing. That’s why Driving Instructor is a job. How do literate adults attack new words? Literate adults only have to put conscious effort into reading or spelling when we come across new, fairly complex words. Chunk the hard word into logical syllables: “Sy-nec-doche”, “Syn-ec-doche”, “Sy-nec-do-che” or “Syn-ec-do-che”. – “y” as in “by” and “fly” or “y” as in “gym” and “symbol”? – “ch” as in “church” and “chips”, as in “chemist” and “school”, or as in “chef” and “brochure”? – “che” as in “cache” and “douche”? – “e” as in “cafe” and “touché”, or maybe as in “coyote” and “abalone”? Hit on “syn-EC-do-CHE” with “y” as in gym, Greek “ch” as in school and “e” as in coyote, whereupon the Lexical Decision Maker in my brain went “SNAP, I’ve heard of that!”, because it’s a Phillip Seymour Hoffman film, and only Australians who have been living under a rock haven’t vaguely heard of it. You can have a laugh at people doing exactly this on Youtube. I’ve now practiced writing and saying the word “synecdoche” a few times, and looked up what it means. I hope that once we’ve watched the film, it will be part of my automatic system i.e. a “fully-specified” vocabulary item – I’ll know what it means, where it goes in a sentence, how to say it and how to write it, and I’ll know what to say if vox popped by a smartalec YouTuber (be prepared). Try this experiment on a literate adult you know: use a made-up word in a sentence, and see if they ask you how to spell it. For example, ask them if they know what a quambichook is (or use the word “quambichook” in another apparently sensible sentence). The quambichook is a mythical bird which in my teenage years we liked to blame for things such as missing chocolate, messy lockers and ladders in our tights (quambichooks have very sharp beaks). If you can’t say “quambichook” with a straight face, there are plenty of other enjoyable, plausible-sounding made-up words on the internet, such as “puffalope” (a padded, puffy envelope, as in “Would you get me a puffalope at the Post Office?”) which I think we should all immediately work to bring into common parlance. When someone asks you how to spell a new word, while showing no signs of writing it down, it’s because they are trying to add it to their vocabulary as a fully specified item. That is, they’re trying to move it across from a word they know a little bit about, and into the category of words they automatically recognise and could potentially use. This includes how the word is chunked into syllables. 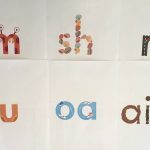 It’s hard enough pulling one-syllable words apart into sounds and sorting these into sensible teaching patterns, but pulling multi-syllable words apart can really do your head in, because of the exponential expansion of possibilities. Each syllable can potentially have up to three consonant sounds either side of the vowel (or four at the end, if the last syllable is “texts” or, lately, “sexts”), each with multiple spelling possibilities. Wikipedia (the authority on everything) says the longest word in a published dictionary is pneumonoultramicroscopicsilicovolcanoconiosis, which I reckon has 18 syllables, but I am happy to stand corrected. 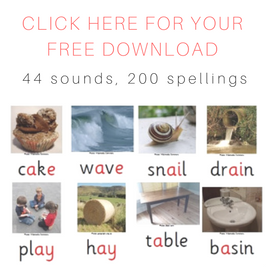 I’ve been giving myself a headache pulling words apart and organising them by sound, spelling pattern and ease of learning, so I hope this blog means that you get fewer headaches thinking about the spellings of multisyllable words, and how to organise, explain and demonstrate them well to learners. 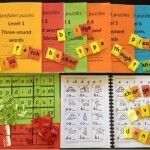 This entry was posted in sound-letter links, syllables, teaching strategies, word attack on June 23, 2012 by alison. I just love your blog. Honest, raw, gritty and to the point. 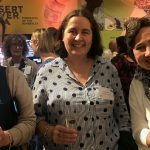 I’ll be sending links to some of my favourite posts to my leadership team, in particular the brilliant unpacking of the F&P leveled text where in the first few levels, a child may be exposed to over 60 phoneme and grapheme choices. Madness! I am going to try and do this same unpacking with a few PMs. Wanted to ask a question in terms of the role of onset, rime and syllables. Most of the SSP literature says they are not an important part of learning to decide. Yet, I see as adults, syllabification is used when decoding or encoding new words? The role of syllables is mainly left under the phonological umbrella. Teachers teach it by clapping the parts in your name. Thrilling stuff. Yet, what if syllables moved under the phonemic banner and students were asked to segment, blend, manipulate the parts? Again, SSP deals with single sounds (phonemes) not strings or groups of letters, so I would love your take on this? Back to binge reading your blog. Hi Jasmine, thanks for the lovely feedback, good luck getting your leadership team to understand that decodables make sense and looking at the picture and guessing just doesn’t. 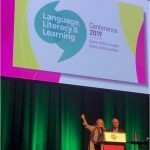 The role of rhyme awareness is an interesting one because kinder kids who are aware of rhyme do better in learning literacy, it seems to be an indicator that they are starting to be aware of the internal structure of words. 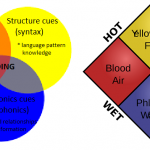 But teaching onset-rime type analytic phonics to school kids is not as effective as drilling right down to the phoneme and grapheme level, because they are the efficient and flexible building blocks from which words are made. Rhyming can be a bit helpful with spelling e.g. when you know “light”, “bright”, “fight” and “night” then you improve your chances of guessing “slight”, but not “bite or white”.